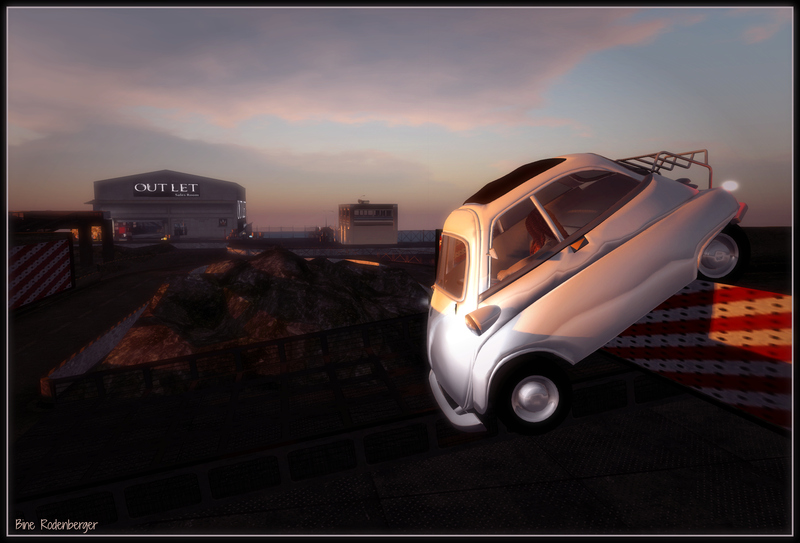 One of the things I love to do in SL is shopping. It is always fun to see what designers come up with. But showing you a picture of Bine shopping is boring, so here is one where she got stuck on a broken road driving to an Outlet store. A lot less boring.